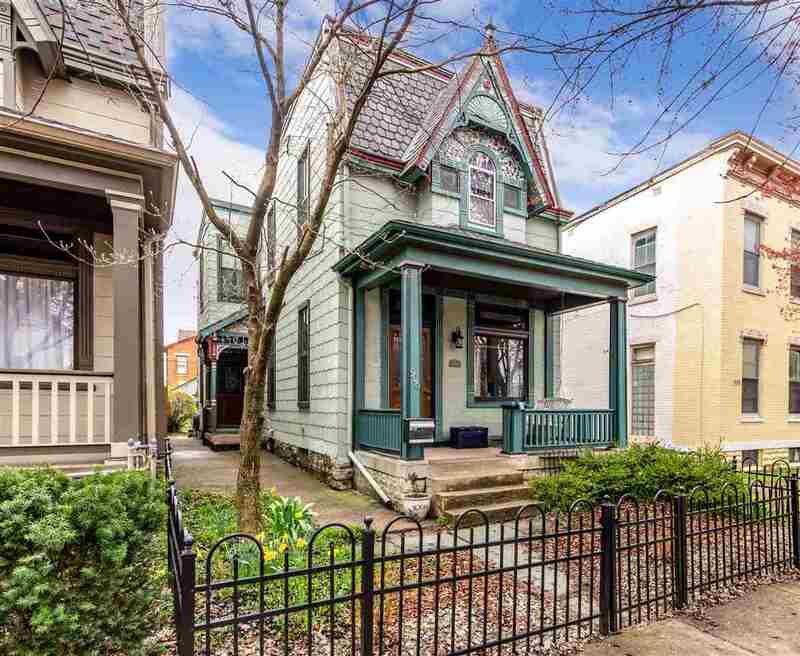 Charming Victorian on Newport’s East Side. Loaded with character and a lot of original features. Stained glass. Ornate, Rookwood fireplace in living room. 3 fireplaces total (all in-op). Update kitchen with 42” Cherry cabinets, window seat, lots of extra cabinets, counter bar. Original Hardwood floors on both levels. Clawfoot tub and walk/in shower. New membrane roof in 2017. Period accurate. Insulated windows that look like original. Nice back yard with privacy fence. Detached garage plus 1 car off street parking via alley. Lovely street and desirable area.